We were invited by ribot, an award-winning digital studio based in Brighton, to bring virtual reality to their company’s 10th anniversary celebration. This event was especially exciting for us for two main reasons. First, the team at ribot were looking for VR experiences that went beyond the standard VR arcade format and that could offer something more creative and visually stimulating. Second, the event was an opportunity for us to work alongside Polygon Pop-up who were organising the catering for the anniversary. After some researching for VR experiences, we decided on featuring Scanner Sombre and Rez Infinite at the event. Both games were originally non-VR titles that had VR added recently. We brought three Oculus Rifts to the event and catered to an audience of 60 people. We started the evening with Scanner Sombre, a visually stunning cave exploring game from the Bafta award-winning studio Introversion Software. 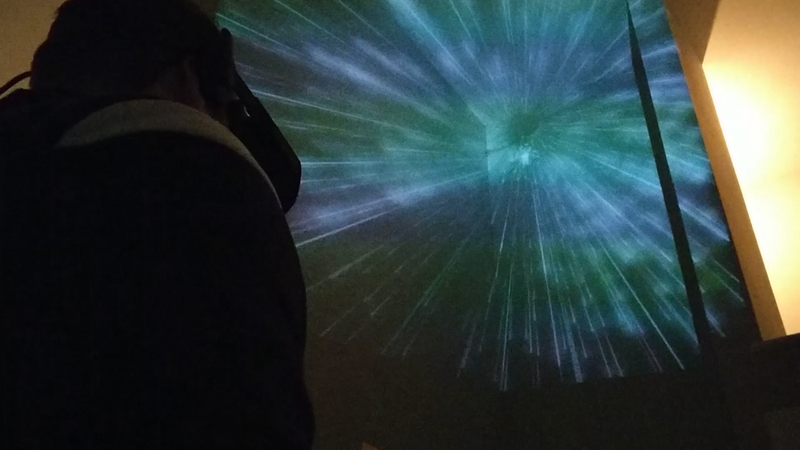 Scanner Sombre offered the guests a VR experience that was equal parts beautiful and hauntingly moving. Later in the night, after we and the guests had enjoyed some of the delicious beers brewed by Crafted Crate specifically for ribot’s 10th birthday, we brought out the critically-acclaimed Rez Infinite, a psychedelic musical shooter. We projected the game onto the walls and ceiling and cranked up the volume, letting the VR players take us all along with them for a hypnotic, techno-raving journey. We had a blast at ribot’s 10th anniversary celebration. The night was on opportunity for us to do what we love when it comes to VR: experiment with our VR events and bring people together for unforgettable experiences.